Melissa Duncan and Ryan Geard were crowned Victorian Mile Champions on Tuesday night, as the Victorian Milers Club held Meet 4 at Melbourne University’s Rawlinson Track. Geard (Athletics Essendon) won his first Open Victorian title in a race that saw Ringwood’s Tom Fawthorpe take the lead from the gun. The field was stretched through the first two laps as Fawthorpe pushed the pace, with Ringwood club mate Chris Discombe sitting comfortably in second and Kevin Craigie (St Stephens Harriers) in third. This state of affairs continued until 500m to go, when Discombe surged past Fawthorpe. Geard moved on to Discombe’s shoulder down the back straight and made the decisive move with 200m left, stopping the clock in 4:07.9, with Discombe second and Craigie third. Melissa Duncan (Knox), fresh off a win at the Hunter Track Classic 1500m, continued her rich vein of form, winning the Victorian Mile Championship with a withering final lap. Defending champion Coreena Cleland (Deakin) was Duncan’s primary adversary on the night, as the pair pushed the pace until the bell. A strong final lap saw Duncan surge away and claim the Victorian title in 4:42.7 over Cleland and Athletics Essendon’s Melissa Vandewater. MUAC’s Sarah McSweeney pushed Vandewater all the way, getting the bell in third place, and coming home in fourth place (4:55.0). Charlie Sheldon ran an impressive race in the Mens C Mile to take 4th in 4:34.8, with Leigh Goedeck 11th in the same race in 4:39.5. Selma Kajan (NSW) ran a very impressive 2:07.5 to win the A 800m from Rochelle Kennedy (Western Athletics) and Ni’ia Hothersall (Richmond Harriers) whilst Ryan Patterson took his winning form from the Victorian Junior Championships into the open ranks, winning the Mens A 800m in 1:52.5 over Eric Sapac and Lachlan Aspinall. 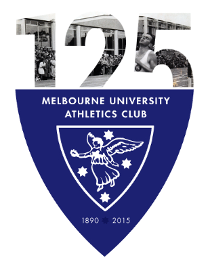 24 races graced Melbourne University’s Rawlinson track for Meet 4 of the 2012/13 Victorian Milers Club season. 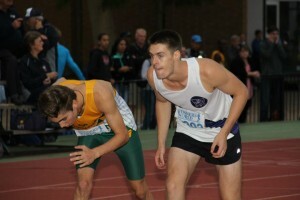 VMC’s Meet 5, with races over 1500m and 5000m will be held on Thursday 21st March at 7:00pm at Box Hill.